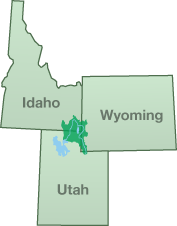 of Utah, Idaho and Wyoming in North America. As of May 2012 there are approximately 160 real-time monitoring sites operated by the Bear River Commission and its partners. Better, more timely information leads to better water management.